Vega Sicilia, the Royal drink of the Kings of Spain, is one of the most symbolic wines in the world. It is the fruit of a solitude terroir, swept by the winds, situated 40 kilometers east of Valladolid. 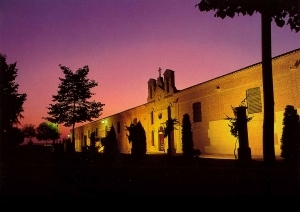 For more than a century, it is the most renowned and most expensive wine produced in Spain. The vineyard was planted in 1864 by a certain Mr Lecanda, from cuttings from Bordeaux. The first vintages were very ordinary and the majority of the production at the end of the 1800s was sold and bottled under the Rioja appellation. In the 20th century, the situation had improved, but it was always known under the name Bodegas Lecanda and then later Antonio Herrero. 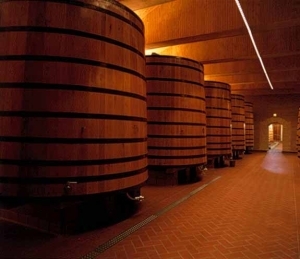 It only obtained its current name, Bodegas Vega Sicilia, at the beginning of the 1900s. Some vintages during the 1920s were highly acclaimed in wine festivals. Don Jesus Anadon, who was responsible for many great vintages during the 1940's, 1950’s and 1960’s, continued to work at the property after it was sold in 1964, to a family named Neumann. In his great foresight, Aandon had attracted the young and brilliant œnologue Mariano Garcia, who continued to refine the Vega Sicilia wines and maintain its reputation of King of the wines of Spain. After 30 years of good and loyal service, Garcia was released of his obligations in 1998, mainly because its personal projects interfered with his responsibilities at Vega Sicilia, according to Pablo Alvarez, CEO of Vega Sicilia. An inspirational winemaking and quality perpetuated under the leadership of Pablo Alvarez, an energetic visionary, managing the company for his family. The company is also expanding with a new project in Toro, a fast growing wine region that many œnophiles monitor very closely.